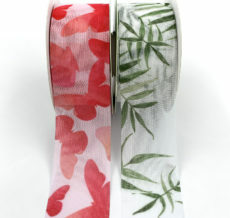 May Arts carries a large selection of different ribbon patterns & designs. 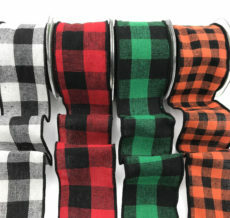 We carry various stripes, checks, stitched, & argyle ribbon just to name a few. We have an assortment of ric rac available, with many color & fabric options. 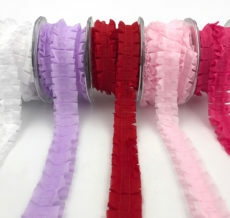 The narrow sizes are perfect for scrapbooking or trimming & our jumbo ric rac is a popular choice for quilting & notions. 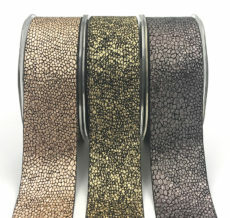 Our animal print ribbon is available in sheer or grosgrain. 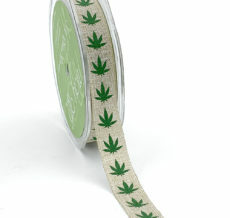 Use it for a fun touch on any gift wrap or for designing fashion accessories, like belts & hair bows. 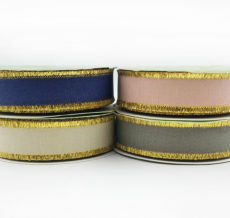 Try using some reversible ribbon, offered in satin & grosgrain. 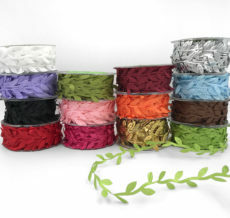 This is an elegant choice for gift wrapping, decorating a basket, or your next stationery project. May Arts offers affordable wholesale prices, on all our 5,000+ sku’s. 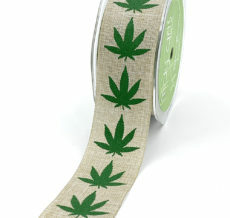 As always, all our ribbon is held in-stock for fast delivery.